This week is National Apprenticeship Week which celebrates apprenticeships and the positive impact they have on individuals, businesses and the economy. There are over 100,000 employers who offer apprenticeships and so far, we’ve received over 8,500 applications through UCAS Progress. This figure is increasing every year! To get a better understanding of the journey you go through on an apprenticeship, we asked Amanda Dorsett from Resource Productions and Sadie Hawkins from IBM to share their experiences. “Hello! My name's Sadie Hawkins and I'm an IBMer*. 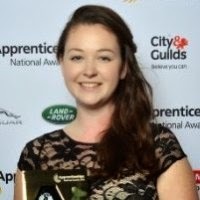 A 21 year old apprentice on a mission – a mission to promote apprenticeships (and alternative career paths) and prove that apprentices really can 'get in and go far'! With thanks to work experience back in 2010, I gained fantastic insight into IBM’s clients, culture, innovation and technology. From there, I was hooked! 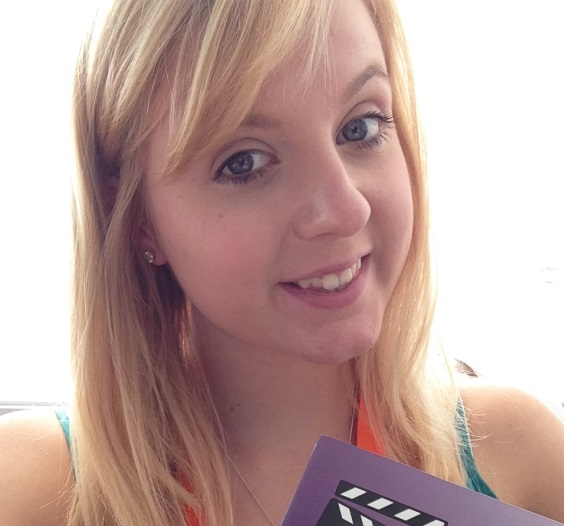 In August 2011 (at the grand old age of 18), I joined the IBM apprenticeship programme. You can only pay for your UCAS application when every section is marked with a red tick. If you’re applying through your school or college, they’ll be able send us your application after you’ve paid. If you’re applying independently, you can hit ‘pay/send’ straight away once your referee has completed their reference. What can I do as a parent to help in the application process? I was thinking today about the application process and how much there seemed to do! It also seemed like this was the first big thing my daughter wanted to do on her own, without my help! Scary times! Of course I still wanted to support her throughout the whole process but it's hard to know where to start. If you do nothing else sign up for the UCAS parents newsletter : Click here to sign up for the UCAS Parents Newsletter! Depending on the kind of courses you apply for, your chosen unis and colleges may invite you for an interview or audition – in fact they’re compulsory for some courses, such as teaching and nursing. They’re a way for both students and course tutors to find out if they’re mutually suitable. If invited, your chosen uni will make sure you have all the details so you know where to go and when. 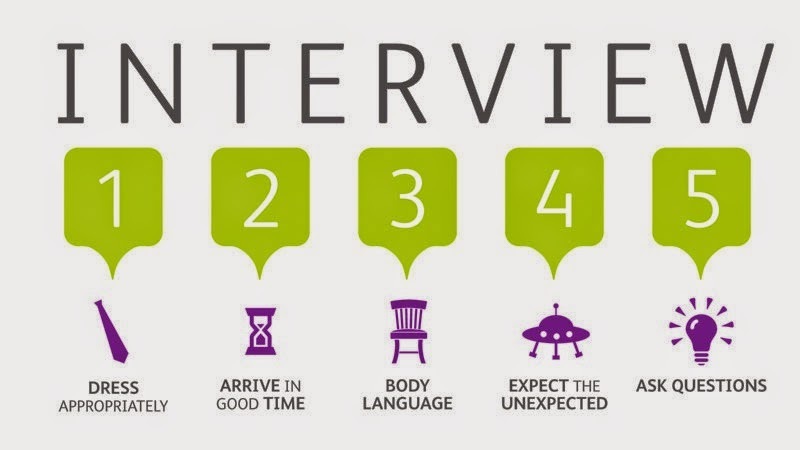 The interviewers may want to see work examples – such as an essay or piece of coursework – but they’ll let you know this in advance. 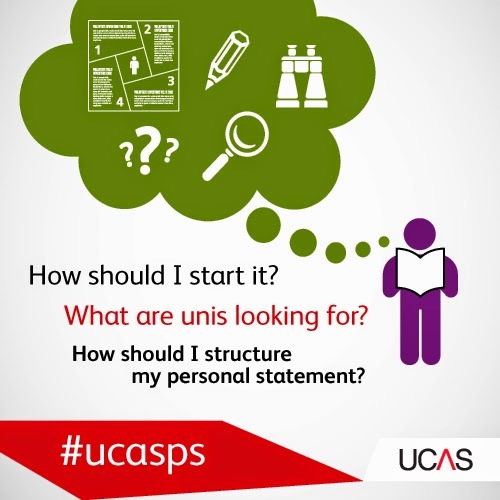 Personal statements: quick-fire questions answered! 1. When should I start? A survey published this weekend suggests that a quarter of students don’t attend open days before applying to university. We found this quite surprising, as open days are so helpful when it comes to painting a picture of university life and choosing courses. Yet our own research also suggests that a similar percentage of students still choose not to make these important visits before applying. Keith Carter, Professional Development Officer at UCAS, explains more about the value of open days, where to find key information and how to make the most of visits. 15 January is the deadline for most undergraduate courses. If we receive your application by 18:00 (UK time) on this date, its guaranteed consideration by your chosen universities and colleges. There are some exceptions where a different deadline might apply – use our search tool to check when you need to apply for your course.